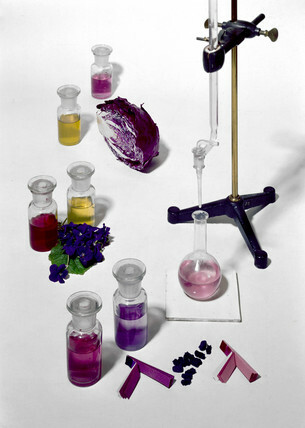 BRASSICA RUBRA – Mr Watt finds that red cabbage affords a very excellent test, both for acids and alkalis; in which it is superior to litmus, being naturally blue, turning green with alkalis, and red with acids. The description of how he prepared the cabbage leaves includes boiling them for several hours. No wonder Mrs Watt banished his workshop activities to the top of the house. Watt’s home at Heathfield near Birmingham was surrounded by gardens and parkland, so there was plenty of space for him to try out his ideas without disturbing the neighbours. He made the most of the flower gardens, as Nicholson also remarks that he then checked out violets, scarlet roses and pink coloured lychnis for similar reasons. He wasn’t the only one. Robert Boyle had investigated the use of similar colour changes for acid-alkali reactions in the 17th century. 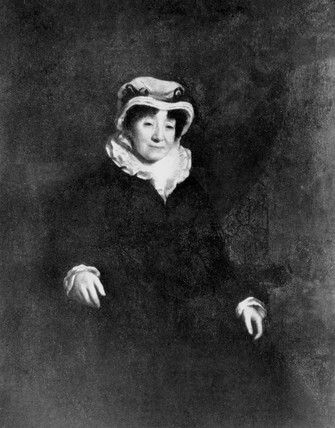 Watt’s chemical interests were both philosophical, and intensely practical – he tried a number of ways of turning science into money, including bleaching, dyeing, and making ink.